A Bar Mitzvah is a big moment. Pictures from this day will likely be immortalized in photo albums and gallery walls, so you want to make sure the man of the moment is looking and feeling his best. At Schweon’s, we’ve been providing the Bar Mitzvah suits Bucks County and Philadelphia residents trust for over 30 years. We stock great brands, have the latest styles, and make sure you find the perfect fit. Our friendly suit experts provide personal service help you find the perfect look in the right fit so you can feel great and look back on your Bar Mitzvah pictures without regret. You’ll find that you have such a great experience at our store, that you’ll be back when it comes time for proms, weddings and more. Ready to check this item off your to-do list? 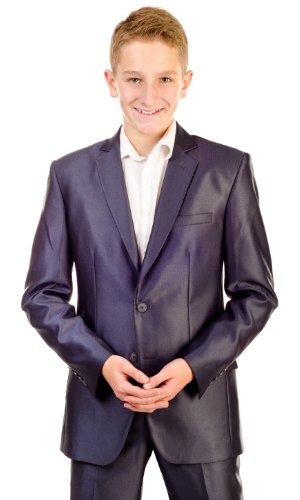 Contact us to set up your personalized appointment to find the perfect Bar Mitzvah suit for you or your son. No need to worry about seeing double, we’ll make sure your suit is unique to you and fits with your individual style. We’ll take the stress out of searching for the suit and getting it fitted. The brands we carry are designed to last, and most come with extra fabric designed to be wearable for longer than most lower quality brands. Whether you’re a guest or the guest of honor, we know you want to look sharp, and that’s why we’re here to help! Let us know when your big event is and what basic items you’re looking for and we’ll take it from there. We look forward to assisting you!